Birdcages are all the rage right now. Seriously, they're everywhere. 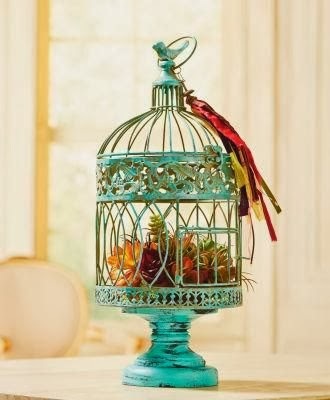 Have you seen this succulent-filled Turquoise bird cage on Pinterest, it's hugely popular and has been pinned hundreds of times. 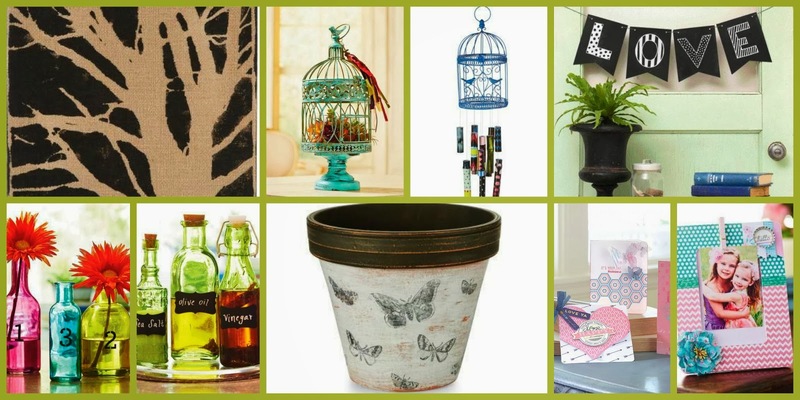 Not only did it inspire our boxwood birdcage, but it's also one I'll be of the projects I'll crafting alongside you when I host the upcoming Pinterest Party at my local Michaels store (Newark, Delaware) on February 16. 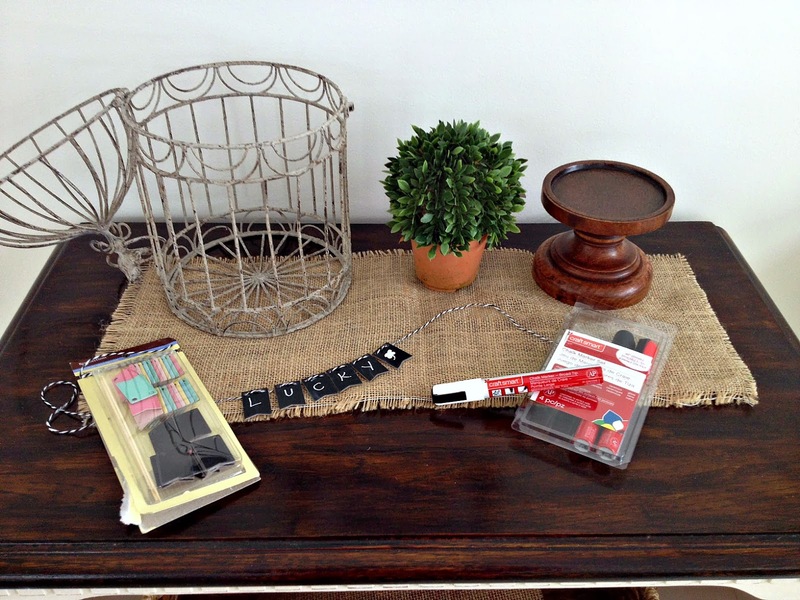 In fact, the parties - sponsored by Michaels and Hometalk - will be held at every Michaels store nationwide that day so you'll have the chance to meet a local blogger in your area and craft one of these seven amazing Pinterest projects with their help. All you have to do is head to your local Michaels store between 1 and 4pm on Sunday, February 16. Check out the Pinterest-inspired displays (just look for the big signs on the end caps), buy your supplies (don't forget your Michael's coupons!!!) 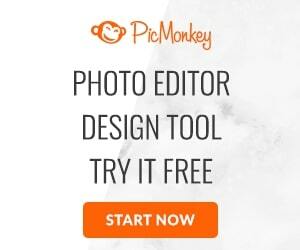 and the join me (or your local blogger) in the classroom to create your own pin-worth project. Click here to see the amazing list of talented bloggers who will fan the country's Michael's stores and see who will be at your store. As if that's not exciting enough, though, Hometalk is throwing some cash into the mix. 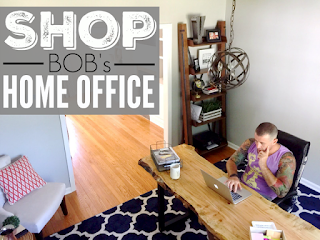 The web's largest home and garden social network is giving away five $100 Michaels gift cards. 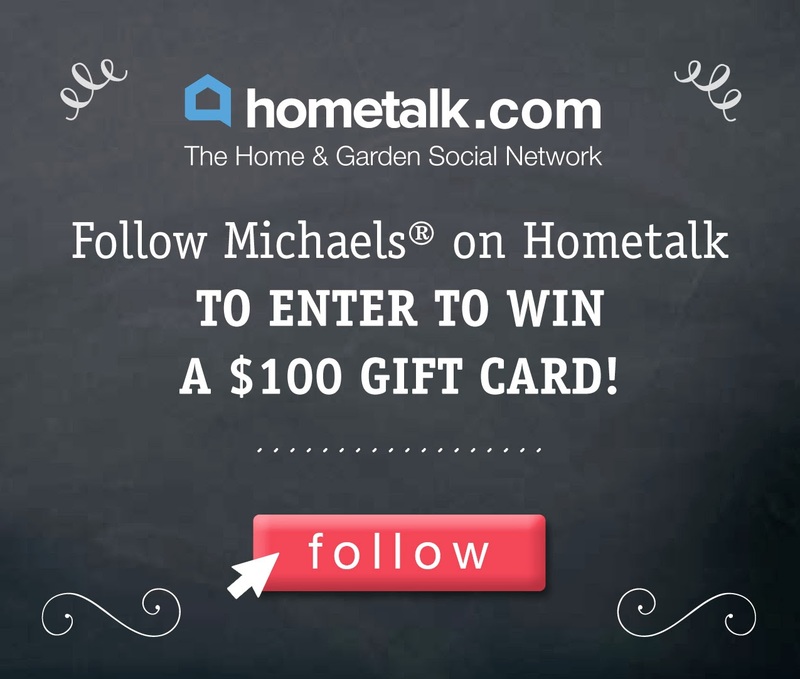 All you have to do to enter is follow Michaels on Hometalk. Five winners will be announced on Hometalk's Facebook page on February 17 following the party. Now let's talk about my birdcage decor inspired by the turquoise birdcage. I went with a potted fake boxwood instead of succulents...that's just a personal preference. Several different boxwoods and succulent stems are sold at Michaels so you can pick whichever you prefer - or maybe something totally different. Like the original version, I used a wood candle holder to lift my birdcage. I honestly went back and forth about painting it, or keeping it in it's beautiful original state. In the end I decided I loved the rich feel of the base so I kept it as it was. Of course, the base is completely optional altogether! 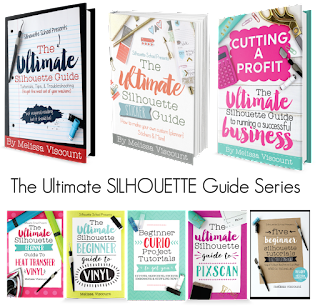 As far as my mini chalkboard banner, I was completely torn between the birdcage project and the chalkboard projects so I thought I would do what any good crafter would do - both! 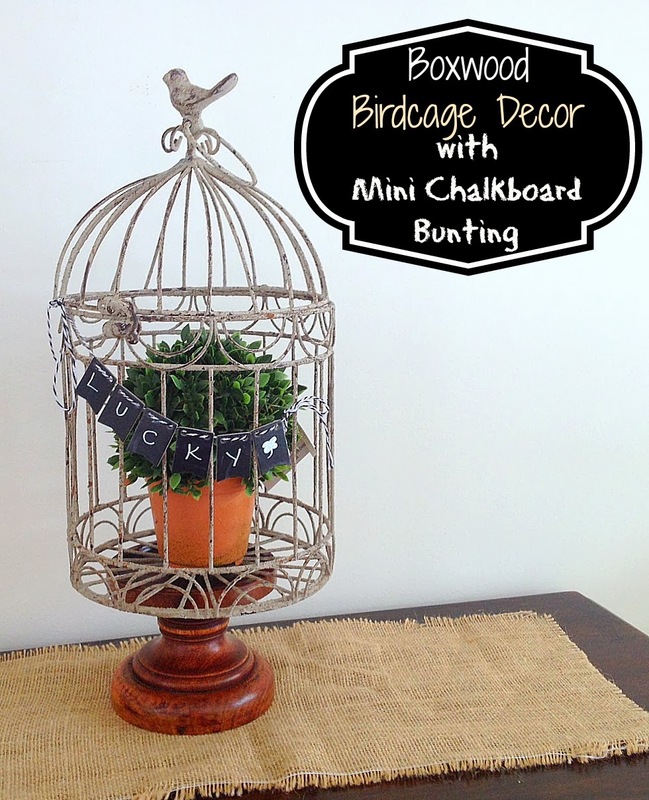 What I like about the mini chalkboard bunting is by tying it on the birdcage you can incorporate the bird cage into your seasonal decor by simply changing what's written on the flags. I used a chalkboard pen and it came off completely with just a damp paper towel. 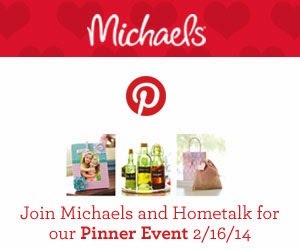 Of course, all of the items are available at Michaels so you can pick them up in store before you join us for the Pinterest party. (Tip: You can only use one Michaels coupon at a time....pick up one or two of your supplies ahead of time so you can double up on the coupon savings). 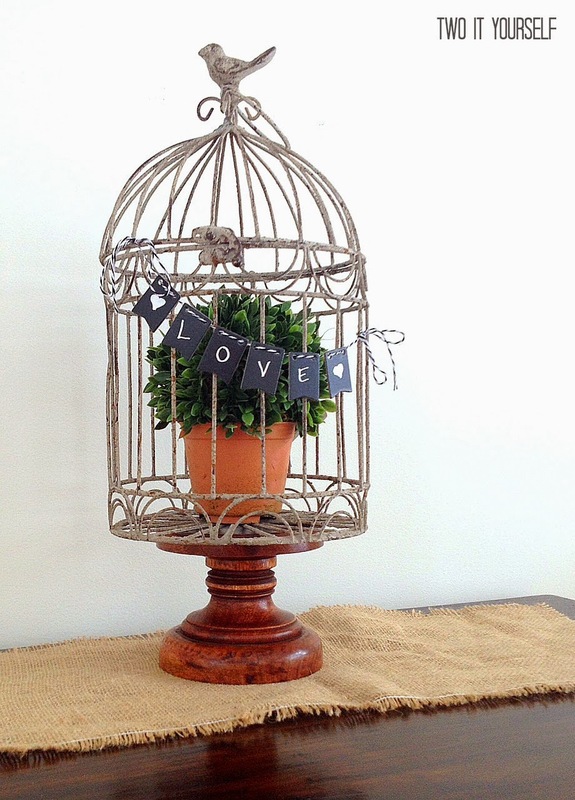 If you're not into boxwoods and bird cages or chalkboard banners...no problem! We'd still love for you to party with us. 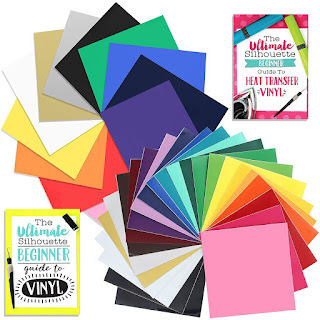 Just pick another one of these Pinterest favorites and put your own spin on it - don't worry if you're a little rusty in the crafting department - we're here to help. 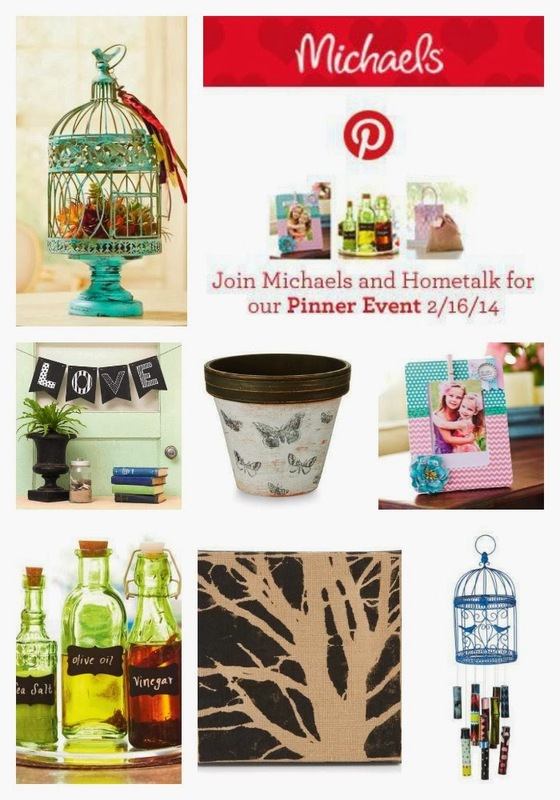 So mark your calendar now to join me, Michaels and Hometalk for the nationwide Pinterest Party on February 16!